Tunbridge Wells TKD instructor Mr Thompson has just returned from the Polish Winter Camp in Szczyrk, Poland. It was a week long training camp with the possibility of 2 training sessions everyday, private consultations and the chance to go skiing. Mr Thompson went to the camp last year and had such a good experience he had to return. But this year he decided to forgo the snowboarding and do all the training sessions. 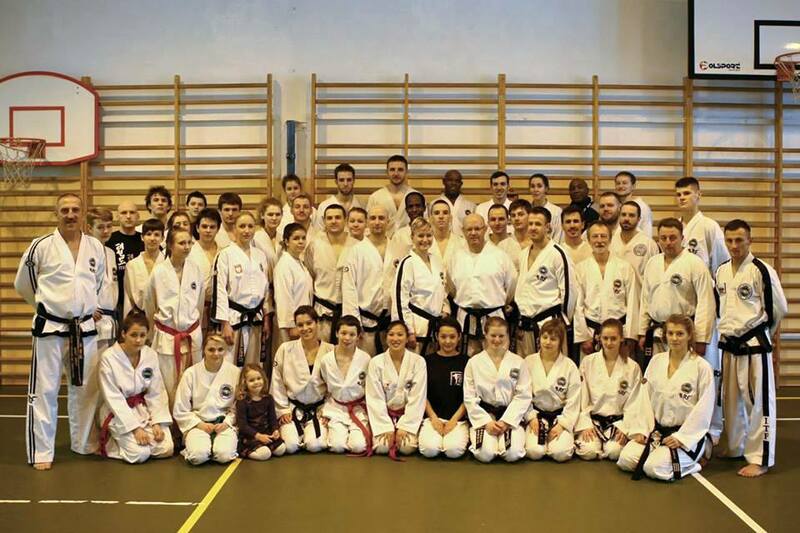 The camp was run by Master Laboda (president of the AETF and Polish Taekwon-Do Association and former national team coach), Master Jedut (vice president of PTA, secretary general of the AETF and former national team coach) and Mr Suska (6 times World Champion and 20 times European Champion). Every morning we had the hotel breakfast and then split into two groups. Some went skiing and the others went training. 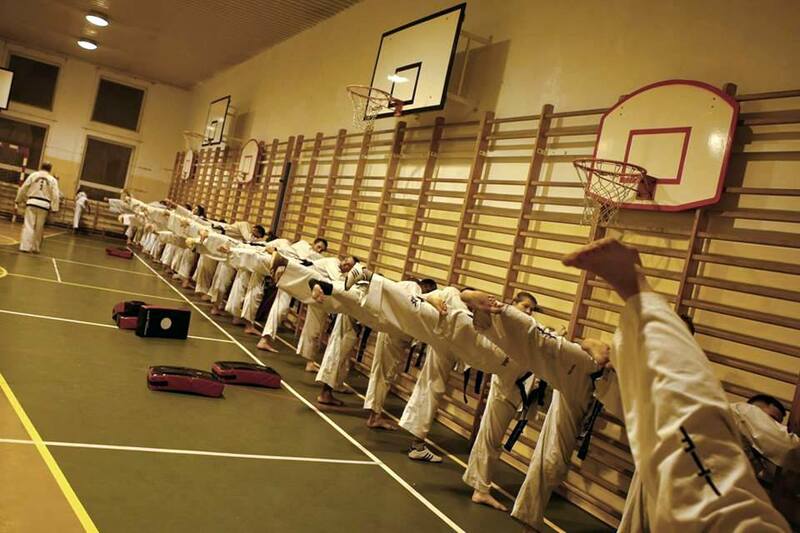 The morning training sessions tended to be a bit more technical and mixed – one session focussed on flying kicks against crash mats on the wall, one on exercises with bungee ropes and one was entirely patterns practice. 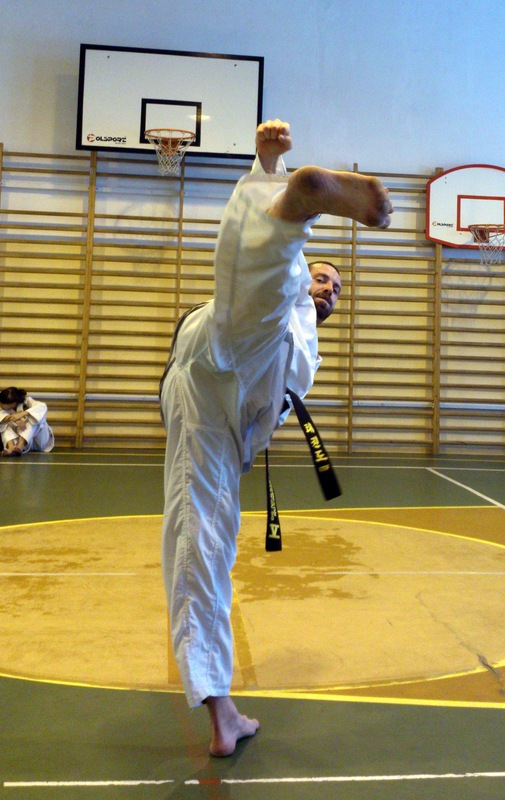 The afternoon sessions were a little more intense and covered sparring drills and kickshield exercises as well as movement and lots of kicking work. The evening consultations took place at the hotel after dinner and were a great opportunity for some one-to-one practice. 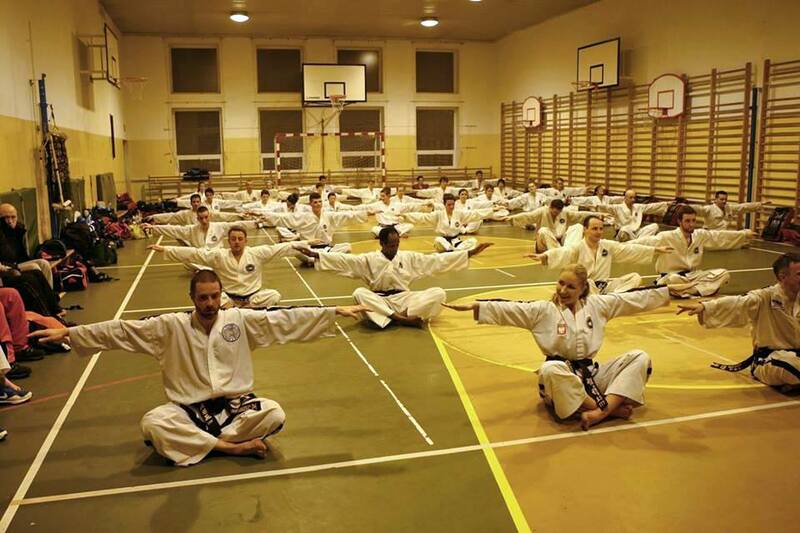 Master Jedut, Master Loboda and Mr Suska helped people with their patterns and I even got to practice 5th degree patterns with Mr Suska, and 3rd and 4th degree patterns with Master Loboda. 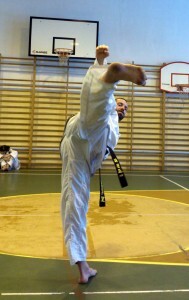 There were other students from England this time who came with Master Tom Dennis. It was great to be part of their group and on the last night we all took the Polish masters and instructor out to dinner. 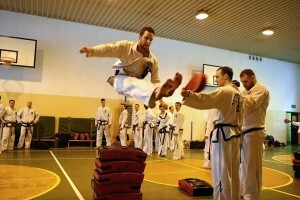 I thoroughly recommend the Polish camps to all TKD practitioners. Students interested in going next year should speak to Mr Thompson – there may even be the possibility of going to the summer camp for a few days. Photos are courtesy of Master Jedut. See the gallery here. This entry was posted in Uncategorized on 01/02/2014 by Mr T.